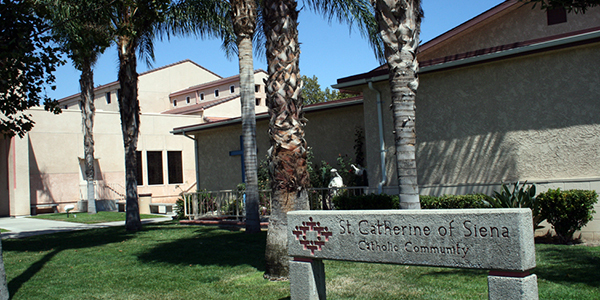 Founded in 1949, St. Catherine of Siena is a community focused on stewardship, formation and evangelization. Pastor: Rev. Briccio Tamoro, S.V.D. Parochial Vicar: Rev. Richard D. Casillas, S.V.D. Check parish website, the bulletin or call for current information. Tuesday and Wednesday: 8:30 a.m. - 6:00 a.m.
Friday: 8:30 a.m. - 11:00 a.m. and 1:30 p.m. - 6:00 p.m.